When an 8.9 magnitude earthquake struck the northeast of Japan on March 11, 2011 it led to the giant tsunami that also destroyed the Fukushima nuclear power plant. 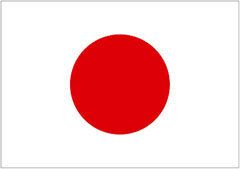 Since this catastrophe nothing in Japan is as before. With an eye on the bicycle business and after a long period of decreasing and/or flat sales this disaster let to some up-shifting unit sales. Rising pedelec sales helped to push value sales in 2011. Looking back, both hit the nail on the head. 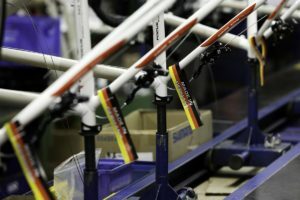 At the time of writing we were able to compare Nippon’s bicycle sales from January to October 2011 with the same time period in the previous year. Total shipments rose 12.9% to a total of close to 9 million units. Keep in mind that the full year shipment in 2010 (January to December) was 9.6 million units. The missing 600,000 units were very likely shipped in November and December 2011 and the forecast at the time of writing is that the final full year 2011 shipment will be about the same (up 12.9%) compared with the previous year. Somewhat different from other countries, the Japanese bicycle statistic is not counting on the mantra “home production minus exports plus imports = total shipment”. There is a reason for that. 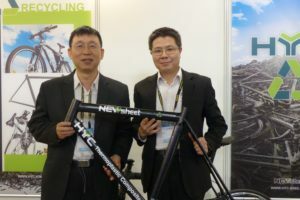 Japanese export figures standing at 01-10/2011 at 2.2 million units ( +10.6%) are relying on so-called “throwaway bicycles” being collected by the police and then sent as a donation to poor countries in Asia and Africa. When you travel to Vietnam or Myanmar for example, you might wonder why you are seeing so many light cycles, the cheap Japanese version of Europe’s city bike, with Japanese characters on them. Some Japanese paint their name on the frame. After a puncture or the police collect a bike due to a parking infraction many Japanese prefer to buy a new bike. After all, you can get them for a killer price, starting around €35 at a mass merchant. This might be cheaper than any bike repair or fine for getting the collected bike back from the police. These so-called “throwaway bikes” are rolled into containers and exported as donations to several developing countries. Nevertheless the export number of 2.2 million units being noted for the time period 01-10/2011 is quite impressive. While home production between 01-10/2011 was up 4.4% to 918,450 units their value reached a two-digit 16.3% increase. Last year’s January to October bicycle imports to Japan (mainly from China) rose 14% to a total of 8 million units. Their value increased 15.5%. 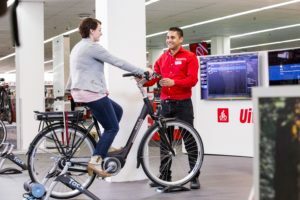 The larger number of value sales increases for both home production and imports, in comparison to their unit sales increase, is definitely rooted in rising e-bike sales. Unlike some European countries e-bikes are nothing new in Japan. But since the tsunami their sales number is experiencing a fresh tail wind. When talking about e-bikes in Japan, this means nothing but power-assisted models (pedelecs). Pedelec sales between January and October 2011 rose 20.8% to a total of 353,098 units. There is no data on their average sales price available yet. Nevertheless to give an idea we can check with Japan’s first half-year sales figures for 2011/2010. The average sales price for a pedelec increased 6.9% to a total of JP¥71,940 (approximately €730), nothing to compare with the premium pedelec sales price in Europe. But don’t forget that most Nippon pedelecs are based on the nation’s all-important cheap light cycle category. With an eye on chart 2 it’s interesting to note that the popular minibike category (20 inch wheels and smaller) experienced a 39.8% sales drop, down to 96,184 units. It seems that after the tsunami consumers were seriously looking for some longer distance capable bicycles, a bike you can use for distances for which one would normally choose public transportation in Japan and not a bike you use for a short distance to a nearby convenience store or the next subway station. Also astonishing that the all-important light cycle range, the cheap Nippon version of Europe’s city bike, with less gears, a drum brake and (instead of a carrier) very often with a basket at the handlebar, isn’t profiting that much from the Fukushima disaster. Their unit sales number for 01/2011 to 10/2011 increased only slightly (up 2.6%) to a total of 3.6 million units. Compared with other categories Kids and Juvenile bikes were also profiting recording a 9.6% unit sales increase, to a total of 2.7 million. The largest sales increase 01 to 10/2011 was made by the “others” and “mountain bike” categories. In the past the “others” category was only counting smaller niche categories such as recumbents etc. With an eye on the amount noted in the stats received out of Japan this must have been changed. It is not possible to clearly figure out what kind of bicycle categories the Japanese Bicycle Promotion Institute (JBPI) has added. 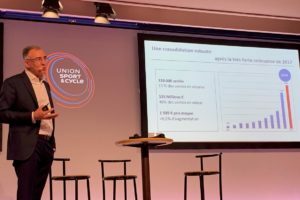 The fact is that the noted 2.2 million units are really high and must rely on all bicycles that are not included in the other categories mentioned in the stats. For example the hybrid bikes which are also good for longer distance use and the small but valuable sportive roadbike segment? 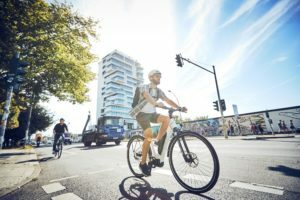 Whatever it is: Compared with the previous time period the unit sales number 2011 increased also thanks to the addition of some other bicycle niche segments – skyrocketing 44.6%! The mountain bike category is also profiting from the crisis. MTB sales rose 21.7%, up to a total of 230,000 units. Compared with other industry nations this is quite a small number. The reality is that in Japan mountain biking as a sport is still not very popular. Those mountain bikes being sold are mainly used for cool rides into the urban jungle. Therefore it’s obvious that some Nippon consumers invested a bit more into a bicycle than a light cycle and acquired a premium offroad bicycle instead. The numbers we received from JBPI for the time period January to October make clear that the full bicycle year 2011 can look on a success this market hasn’t seen for a long time. In the past the Nippon bicycle market was only recognized for its countless and often China-made throwaway light cycle sales. In 2010 an alarming 97 percent of all bicycle imports were coming out of neighboring China. Unfortunately comparable figures for 2011 are not available yet. Nevertheless the Fukushima disaster perhaps will change the bicycle buying habits of Japanese consumers. Let’s hope that, forced by the disaster, the trend to more reliable, ridable, and therefore more expensive bicycle premium products continues. The fact is that Japanese consumers are looking for bicycles for transportation right now and not just for a 500 meter cruise to the next store, even the ones buying mountain bikes. Apart from that disaster-driven development the health and fitness awareness is also spreading out in Japan. All good reasons to look into a brighter Nippon bicycle future. Hopefully it has much more to offer than just “cheap” and “throwaway” products.